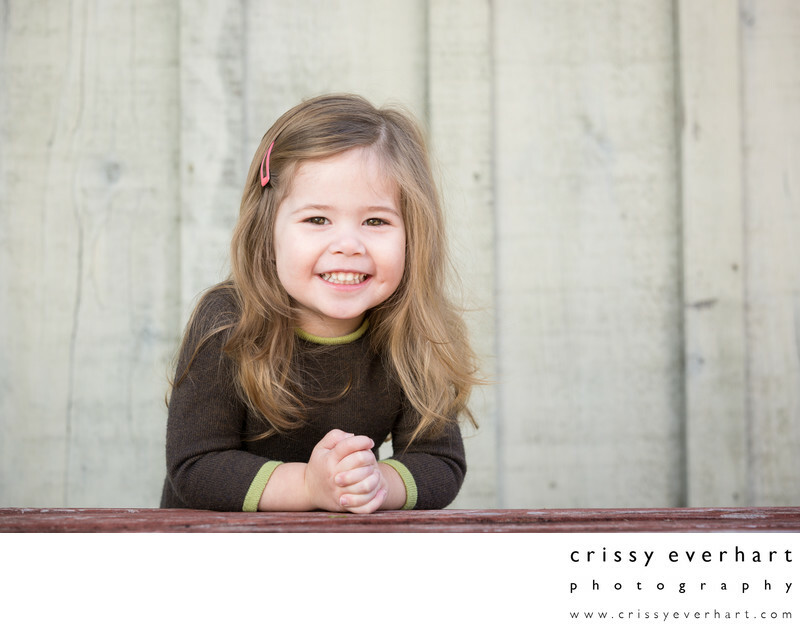 This 2.5 year old girl is the daughter of my friend and photography assistant. She has big brown eyes and long brown hair, and leans on folded hands in front of a white wood barn background. Her dimples and pudgy hands make me smile, and her personality is just as adorable! Rustic portraits, white wood background.